If you plan to take your Contractor License Exam in February, be sure to plan accordingly. 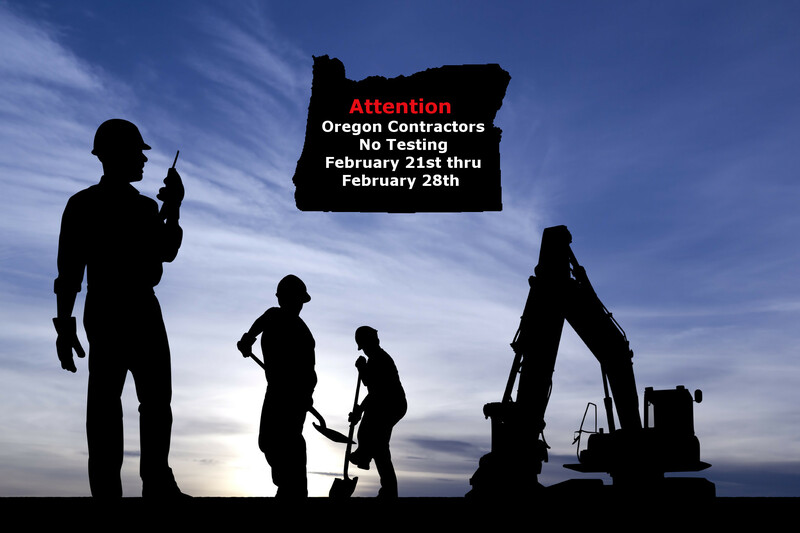 PSI will not be offering the Oregon contractors licensing exam between February 21st and February 28th because of an update to their testing system. This update will allow test takers to toggle between the English and Spanish version of the test, and will help students who speak Spanish as their primary language and English as a second language to have the best chance of passing the exam. Here are the steps you will need to take to get your contractor’s license in Oregon. Register with PSI to take the Construction Contractor exam. Obtain and submit a CCB surety bond in the required amount. Obtain general liability insurance in the required amount. Provide evidence of worker’s compensation and other employer account numbers if applicable. Oregon Department of Revenue and write it on the application. Submit a completed CCB application with the $325. Be sure to select a Contractor License Exam Preparation course that is fully approved and has a proven track record of successful passes. Choosing a course that comes in both text and narration fashion allows you to not only read and take sample exams, but to listen to the content as you drive or relax. Good luck and keep on contracting. This entry was posted in Construction and tagged 16 hour, Contractors, Exam Prep, Oregon.